Dream Dress Project is collecting new or gently used homecoming and prom dresses to help those in our community who may need assistance in order to participate in these annual school activities. 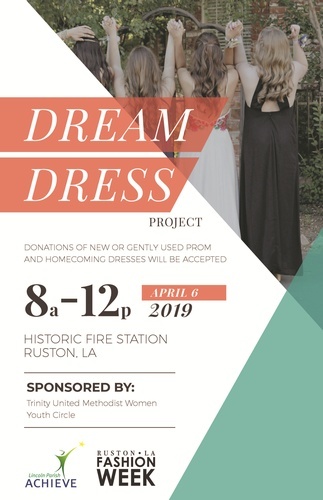 If you would like to contribute to this effort, please drop your donations off at Ruston’s Historic Fire Station this Saturday, April 6, between 8 AM and 12 noon. Please share with other organizations and individuals that you feel might be interested.